I remember when Jolly Ranchers came out they started as these thin sticks and were like 5-10 cents a stick, then they turned into the squares we all know and love. 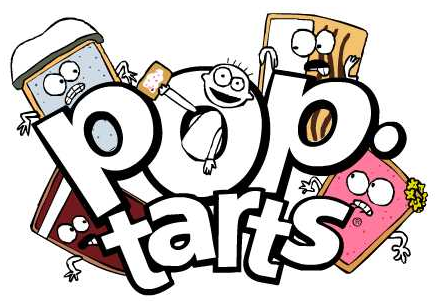 Jolly Ranchers are everywhere in hard, crunchy, gummy and now in pastry form with the new Jolly Rancher Pop Tarts! Frosted Cherry has a tart cherry-flavored filling that tastes as good as a Jolly Rancher candy right out of the wrapper. This was a bit more tart for me than the candy flavor which I love and me and my kids fight over. Frosted Green Apple offers a sour apple flavor that perfectly recreates the iconic green Jolly Rancher candy. Most of us liked this one, it taste best when it was cooked. We normally don't toast our Pop-Tarts because they taste great on their own and make for a great take with you snack. Frosted Watermelon brings the sweet taste of summer to your taste buds with Jolly Rancher candy's classic Watermelon flavor. This was the winner! Perfect sweetness both cooked and not. It was the first box gone, and now my kids are asking me to purchase some more which they also come in bigger packs. Now I hope they will consider making the some other flavors of Jolly Rancher like the Blueberry and Grape would be neat period. Get your hands on the new Pop-Tarts Jolly Rancher flavors and find out more by following @PopTartsUS on Twitter and Instagram, and checking out Facebook.com/PopTarts. You can also find them in your local Wal-mart.